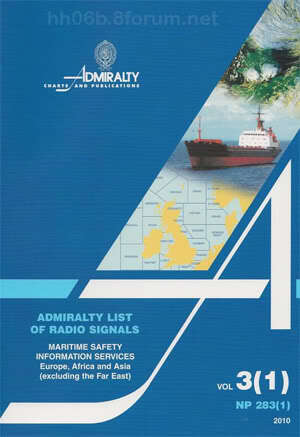 Admiralty List of Radio Signals for Maritime Safety Information Services. It covers Radio Weather Services and Navigational Warnings, Radio - Facsimile, NAVTEX, and SafetyNET for Europe, Africa and Asia (excluding the Far East). Được sửa bởi Bố già ngày Sun Mar 03, 2013 1:38 am; sửa lần 1.